The Nigeria Extractive Industries Transparency Initiative (NEITI) yesterday revealed how the Nigerian National Petroleum Corporation (NNPC) and its sub-units either lost or refused to remit a total of N2.23 trillion, consisting of $9.75 billion and N378.67 billion, to the federation account as earnings from various aspects of its operations in 2013.
yesterday in Abuja, said some revenues that should have gone to the Federation Account in 2013 didn’t make it . “These outstanding payments were due from unpaid consideration from the divested OMLs, cashcall refunds from NAPIMS, and NPDC lifting from NAOC (AGIP) JV etc, sum of $5.966 billion and N20.4 billion as revenue losses to the federation. 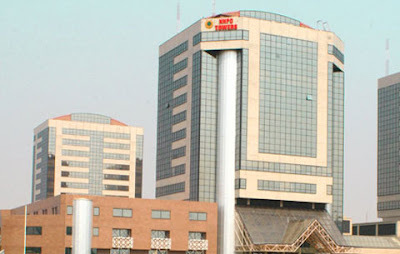 The report noted that Nigeria Liquefied Natural Gas (NLNG) paid $1.289 billion as dividends, interest and loan repayment for 2013 but that the NNPC while acknowledging receipt of the amount, failed to remit the same amount to the Federation Account. The report added that the 2013 figure brought to $12.9 billion the total NLNG payments received by NNPC between 2005 and 2013 but not remitted by NNPC to the Federation Account. NEITI indicated that the total revenue flows to the Federation Account from all sources in 2013 came to $58.07billion,which included revenues from crude oil sales, taxes, royalties and other incomes. Fayemi, who is the Minister of Solid Minerals Development added that while it was important to re-state that these reports covered the year 2013, a few things had or could have changed since then. The former Ekiti State governor explained that it was clear that despite the gap of three years, most of the issues raised in the two reports summarised above were still relevant and should guide the nation on the way forward. However, the NEITI report noted that the revenues realised in 2013 represented a decline of eight per cent when compared with the $62.9 billion realised in 2012. The decline was attributed to the drop in oil and gas sales following the divestment of the federation’s equity in some Oil Mining Licenses (OMLs), crude losses as a result of destruction of production facilities, pipeline vandalism and crude oil theft. The report puts the total value of crude oil losses to the federation as reported by three JV companies, in 2013 at $4.7 billion. This represents an increase of 46 per cent over that of 2012. For the downstream, the Crude Oil Marketing Department (COMD) records showed that out of 38.263 million barrels per day allocated to the refineries in 2013 for local refining, 2.401 million barrels per day were lost through theft and vandalism. It also highlighted that the proceeds of the crude oil lifted by NNPC from the said OMLs were also paid into the account of NPDC. However, it pointed out that NAPIMS provided evidence of a refund of $389 million by NPDC in 2014, leaving an outstanding balance of $147.86 million. The report recommended that the Federal Government should conduct a comprehensive investigation into the divestments of the federation’s assets by NNPC to NPDC and also devise a scientific technology such as fingerprinting should track Nigeria’s crude oil trade to check oil theft. It urged the Federal Government to quickly resolve the issue of pricing methodology by enacting an appropriate law to forestall under-assessments of petroleum profit tax and royalty while the NNPC and its sub-units should refund outstanding payments to the federation. The audit report also said gas should be invoiced in dollars, not naira, to avoid exchange losses and that NNPC should discontinue alternative importation arrangements and limit itself to export of crude and import of refined products.